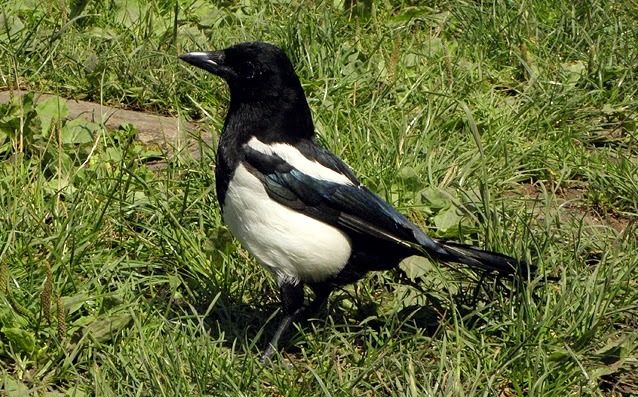 The Magpie is a very common and distinctive member of the crow family - the only member in the UK to have a long tail and regularly any amount of white on its body. Found equally easy in city as countryside, it can however provide a slightly disproportionate challenge to photograph (although still very easily) as it can be a bit of a twitchy bird that will fly away when you get too close. Widely associated with folklore, it has an anecdotal reputation as a thief of jewelry and other shiny objects and in the United Kingdom is the subject of the superstition / nursery rhyme "one for sorrow, two for joy...". - Seen in many places including Rutland Water, Rainham Marshes, Regent's Park, Kensington Gardens, Pitsford Reservoir and Geddington.